Sometimes the biggest presents come in the smallest packages, and you will certainly receive a huge statement piece when you order your pair of Jadelyn Makenzie’s! These beautiful sneakers are fit for any occasion! On the stage during competition, or matched with jeans and your royalty t-shirt, the Jadelyn Makenzie’s are sure to be the statement in your outfit with over 1,500 rhinestones, applied by hand! Customizable, with over 30 choices in stone colors, the Jadelyn Makenzie’s leave you with endless possibilities to proudly display your personal name, phrase, or title! Be like your Miss. Baby America, Jadelyn Makenzie, BE FIERCE!!! Order your own pair today and let the world see just how “big” you really are! 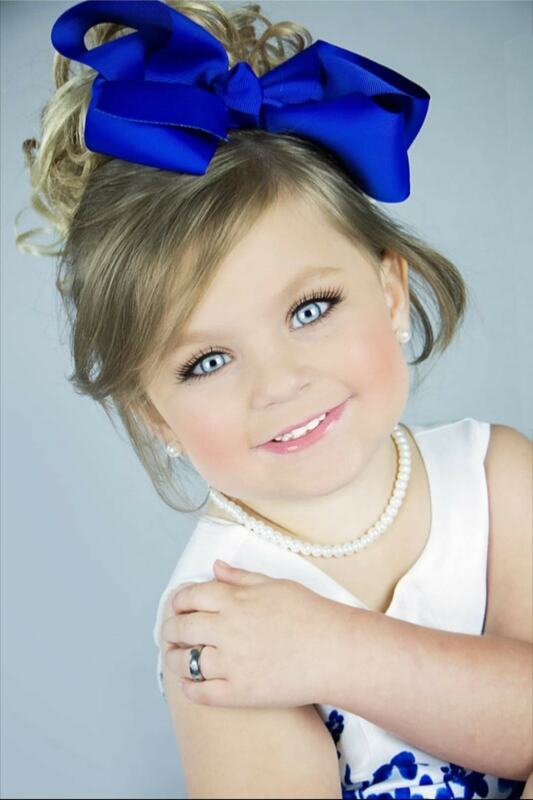 Jadelyn Makenzie, or as most people know her, Jay-Bird, is a spunky, sassy, but a lovable little girl! She’s very outgoing sociably and very mature for her age. Her favorite activities including swimming on her own, riding the four-wheeler & watching YouTube on everyone’s phones! She has been under the spotlights starting at just 9 months old. She loves preforming to anyone that will watch, especially if you’ll let her sing to you! There’s nothing more she loves than accessories; shoes, jewelry, purses, you name it! At just 3 years old, she loves feeling confident and complete with her accessories! Jadelyn has accomplished so much in her little life and we can not wait to see where the future takes her!